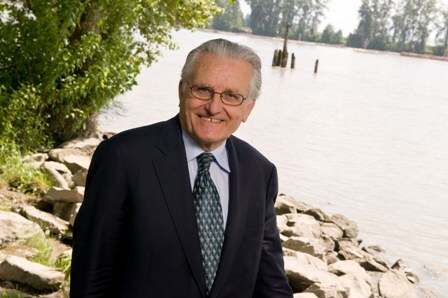 A leading gift of $1 million from Rudy North, president and founder of North Growth Management Ltd., has established the Rivers Institute at BCIT and funded Canada’s first Chair in River Ecology. The Institute will support research and travel, facilitate public awareness activities and provide financial support for students with a particular interest in river conservation for a period of three years. Additional investments will be sought to extend the reach of the Rivers Institute and support future activities. The Rivers Institute would like to specifically acknowledge Mr. Rudy North. Rudy has long been dedicated to the environmental and has contributed to, and supported, a number of environment and river related causes. He is passionate about the Fraser River and, in past, has been a major supporter of groups and initiatives ranging from the Heart of the Fraser campaign to the Fraser River Sturgeon Society.